Richard Georg Strauss (11 June 1864 – 8 September 1949) was a leading German composer of the late Romantic and early modern eras. 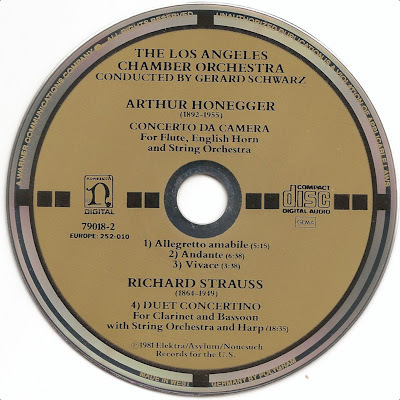 Arthur Honegger (10 March 1892 – 27 November 1955) was a Swiss composer, who was born in France and lived a large part of his life in Paris. 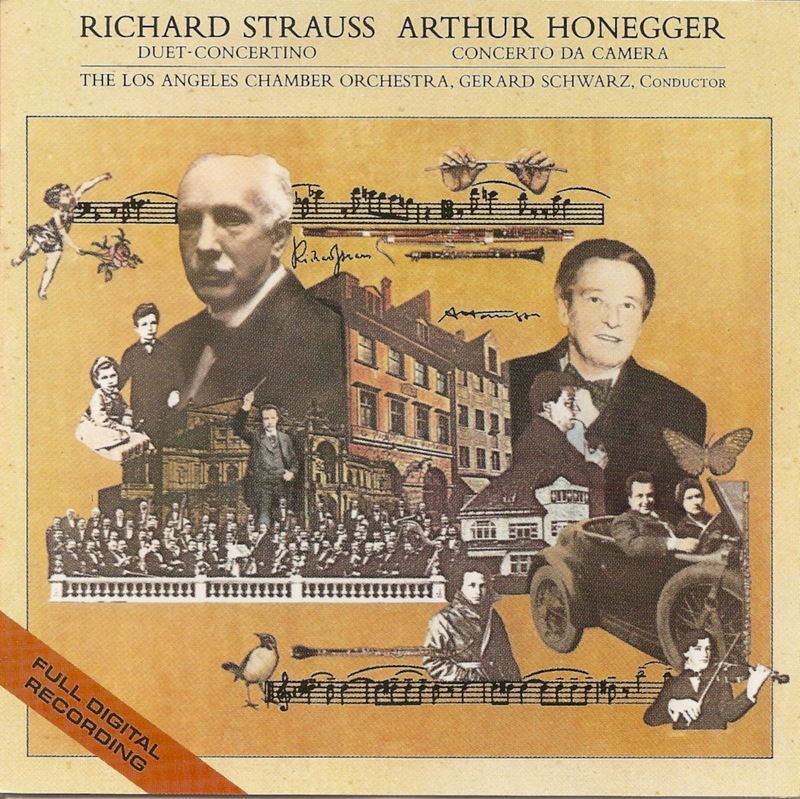 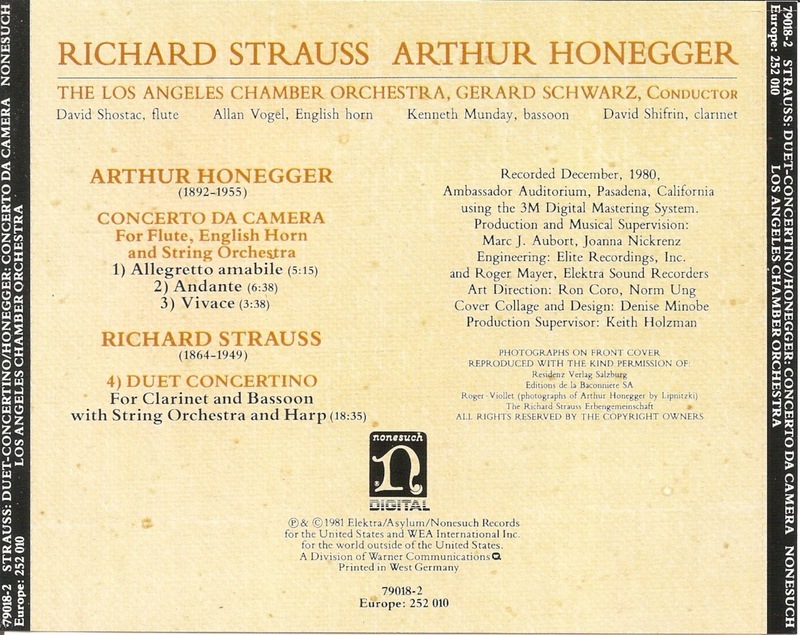 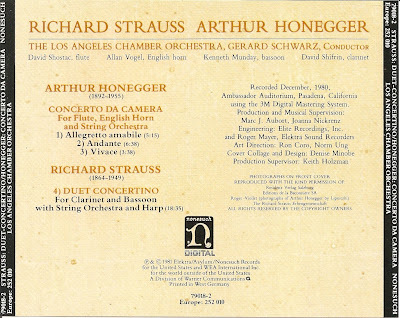 Duet-Concertino / Concerto da Camera are two works by Strauss and Honegger recorded by the Los Angeles Chamber Orchestra in 1981.